Cherish your own capacity to love and provide empathy! Mother’s Day is approaching. Is it time to run and hide or stumble into a Hallmark store to desperately search for that empty card that says nothing upon which you simply sign your name? How sad, awful, taboo, and misunderstood this is for adult children raised by narcissistic parents. Who woulda thunk it? 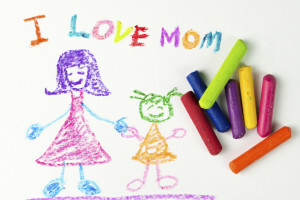 It is common to fantasize about the mother you always wanted, the one you still want, the one you wish you could celebrate on this unassailable most widely observed holiday where others are feeling all warm and fuzzy about their mothers. But…this is the time of year I get the most emails from those raised by difficult narcissistic parents. It is like Mother’s Day strikes a lightning rod of fear and terror. What do I do? How should I handle this? How should I feel? I don’t dare really talk about this topic or I look like a crazy person. It’s a moment of post-traumatic stress disorder collapse. Like I was just fine until this holiday starts to invade my personal brain real estate and reignites my guilt and wondering once again. Maybe I'm wrong, maybe this time, this year, will be different.